The group Judicial Watch has been hounding the Obama Administration for the emails of the woman who used to be in charge of giving tax exempt status to groups. 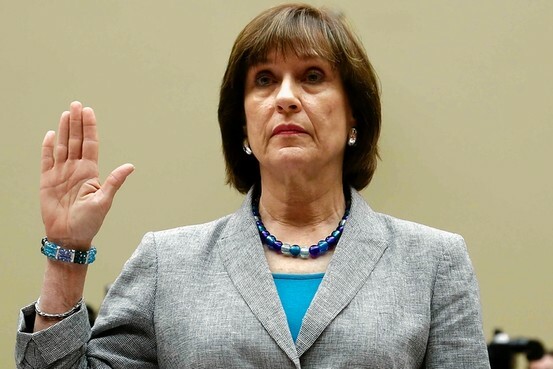 Lois Lerner’s emails have been a political football which have been described by administration officials alternately as “forthcoming”, “lost”, disappeared in a “crashed hard drive”, miraculously “found”, “never lost”, discovered on “hard copies”, and just plain redacted. Yes, something hinky is going on. When IRS chief John Koskinen was in San Diego for a meeting of tax preparers recently, I was able to ask him a few questions, including, how many liberal groups versus conservative groups had been audited by his organization. He declared he didn’t know the numbers. I thought that odd considering it was a chief data point in the conservatives’ contention they’d been targeted and slow rolled by the IRS in getting 501c4 status to keep them out of the 2012 election cycle. Even Lois Lerner admitted it. Judicial Watch has received the latest batch of the emails for which it filed Freedom of Information Act requests (FOIA) and it seems we now have an answer: 75% of the groups for whom it took MONTHS or YEARS to receive tax exempt status and were targeted by the IRS were conservative. 75%. Only 5% were deemed “liberal”. The IRS also seems to have had a “secret research project” which used the inappropriately obtained donor lists of the groups it was targeting. In one case, the National Organization for Marriage’s list was illegally given over to a pro gay marriage group. This same group had targeted pro Prop 8 donors and agitators. At rallies for traditional marriage, pro gay marriage activists would intimidate, harass, and shut down their opponents rallies. They were so militant and tactics so in-your-face, some took to calling them Al-GAY-dah. The IRS released the list on purpose to subject NOM’s backers to the same treatment. The IRS paid a fine to NOM in apology, but it was far less than what they would have gotten in donations from the people who were now too scared to give thanks to the IRS. Read the rest here. And listen to my chat with Judicial Watch’s Tom Fitton today on KOGO Radio at 2:20 Pacific. Jail for the lot of them! ROB! So glad to hear from you! And yes, jail is too good for these people. Gads. Hi. It’s been a long time again. I tried to find your blog and saw some of the previous writing you did. What’s up? Good luck! I’m not really sure where I stand on this, specifically, however I am very bothered by the way the U.S. Government NSA is taking away our rights. Thank you. Keep coming back and commenting!